Never Lift Or Store Another Bottle Again – And, Never Run Out! Let’s say you have a bottled water cooler and you drink 10 water jugs per month. If they charge $8.00 per jug, that’s $80 per month. Plus, you pay rent on the cooler of about $10/month. That’s about $1,000 per year! 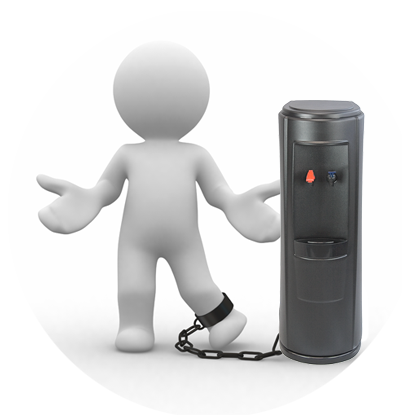 An XO bottleLess water cooler gives you virtually unlimited pure water – but has a one-time cost of only $389-$449 (depending on the model you choose). 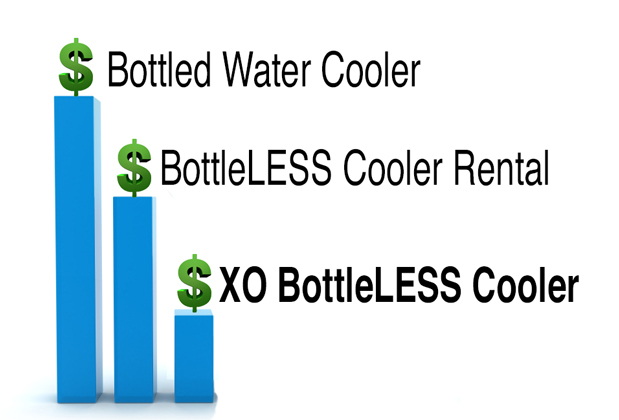 To maintain an XO cooler costs only $49.95/year or $99.90/year (depending on how often you change the filters). Plus, They’ll Make You Sign A Long-Term Contract. If you rent a bottleLess cooler from one of our competitors, you have to sign a long-term contract. Let’s say they charge you $40/month which, of course, is $480 per year. In year 2, 3, 4 and beyond get really interesting. You’ll still be obligated to pay them the $480 each year in rent. 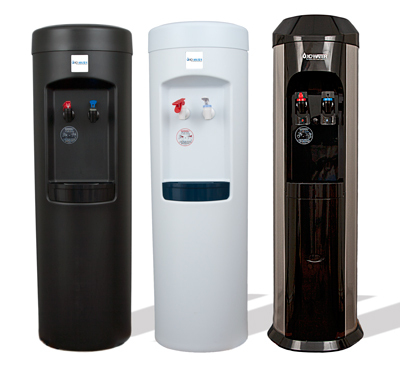 But, an XO bottleLess water cooler will cost you only $49.95/year (small to medium office) or $99.90/year (high traffic cooler) depending on how often you change the filters. We hate to pour cold water on your little bottled water party, missy, bud did you know that 38 billion plastic water bottles are thrown into our landfills every year! Only a small minority of those bottles are recycled. 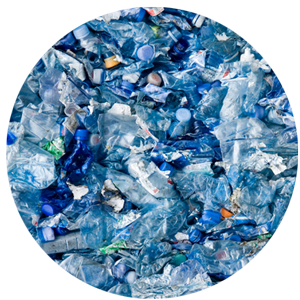 Oh, and did you know that bottled water uses 20 million barrels of oil to make plastic water bottles every year? And, did you know we use over a million gallons of fossil fuel to deliver those bottles. 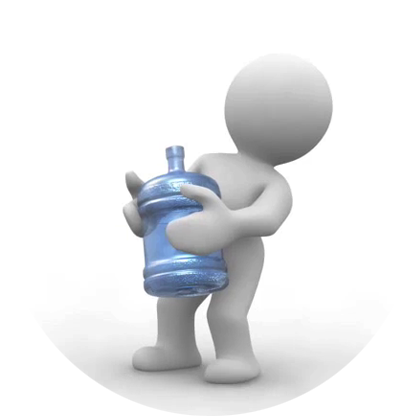 You’d make the earth so much happier by using a BottleLess water cooler – and refilling a sports bottle. The bottled water concept just does not hold water! Make A Splash At The Office, With These Beautiful Coolers! Pure Cold & Hot Water Instantly! It’s only 17″ inches tall – but great for offices or homes where floor space is at a premium. 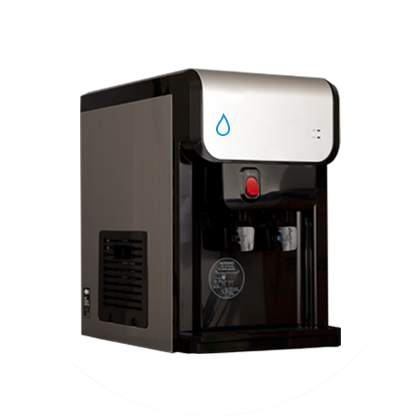 Instant hot and cold pure water is ready when you are. Just what I needed. No more buying & lugging bottles. It looks great. I may get another for my home in Florida. I ordered this cooler for our office with about 20 people, to save money on rent and plastic bottles, as well as to reduce storage needs. (Our bottle company insisted on bringing us 8-10 bottles at a time, and refused to take them upstairs.) I really like that it also has hot water for cocoa, tea, or soup. The water tastes good. No problems! I saved my company $800 a year! No brainer! Renting is such a ripoff! So glad that we own our bottleless cooler now. Piece of cake to maintain! I would recommend this product to anyone for sure, and I would also recommend buying from BottleLESS Direct, because their customer service is outstanding! You don't need to waste your money by ordering from poland spring or any bottling company every month. This machine pays for itself and you're not even renting it from the company, it's yours to keep. I will be purchasing another one for my parents and I am confident they will love it as much as I do. This system is all it claims to be and more. Much less than other models but turned out to work great. Very easy to install. In our place there are about 50 employees and it has held up well. Would purchase another one if ever needed to. Want to see how we do things? Learn how it works.